You are here: Home / General Articles / Are You Protected If Your Dog Bites Someone? Are You Protected If Your Dog Bites Someone? While your renter’s or homeowner’s insurance policy will provide coverage for many unfortunate situations, it may not provide enough coverage if your dog bites someone. Even if your dog is very well behaved, you still run the chance of dealing with a dog bite claim. Having the right insurance coverage can help to make sure that you are not financially devastated after one accident. There are three main choices when looking for the right amount of dog bite coverage, including a personal umbrella insurance policy, excess coverage, and canine liability policies. A personal umbrella policy will provide extra liability coverage that exceeds the protection that is already provided by your home insurance policy to ensure that you will be protected in case your furry friend bites someone. The coverage that is provided by a personal umbrella insurance policy will provide additional liability coverage for any incident that you may encounter, not just a dog bite. Investing in excess liability coverage simply increases the amount of coverage that is provided by your homeowners or renter’s insurance. It is important to keep in mind that excess liability coverage will only provide protection for incidents that happen on your property, not for bites that occur at the park or while you are on a walk. The last option, a canine liability policy is a policy that is specifically designed for dog owners to deal with the financial fallout after a dog bite claim. 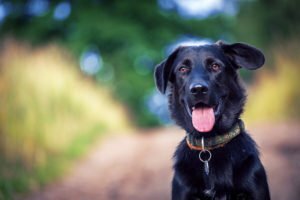 These policies are written for people who are not able to obtain any other coverage for damages or injuries that are caused by their dog. To ensure that you and your pooch are protected from any unfortunate situation, contact the insurance professionals at McCarty Insurance Agency in Fresno, California. We will work with you to ensure that you have the coverage that you deserve.